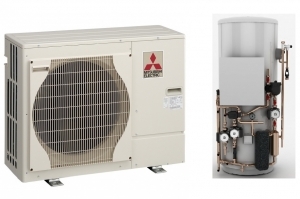 Mitsubishi Electric Ecodan PUHZ-W50VHA2 heat pump with standard pre-plumbed hot water cylinder of either 150 litres or 170 litres size. There are other cylinders that are also available for this Ecodan model, please contact us for details. 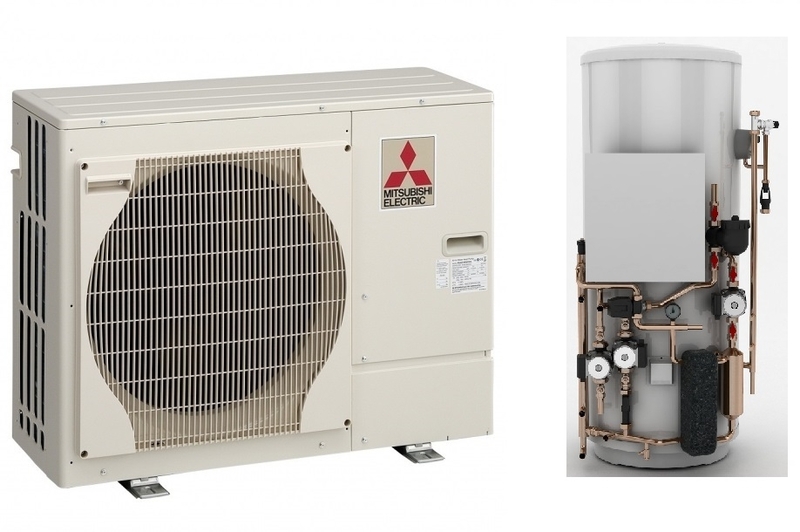 This is a monoblock air to water heat pump with the water heat exchanger built into the outdoor unit, so you effectively have just the hot water outlet and return directly from the outdoor unit. The unit includes the latest FTC5 controller and the items listed in the highlights section. Take a look at the brochure below for more information on Ecodan PUHZ-W50VHA2 model.